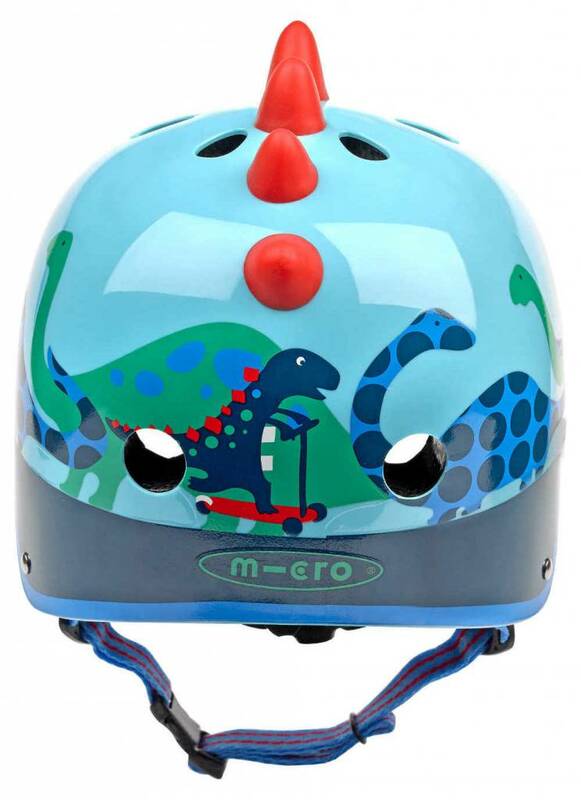 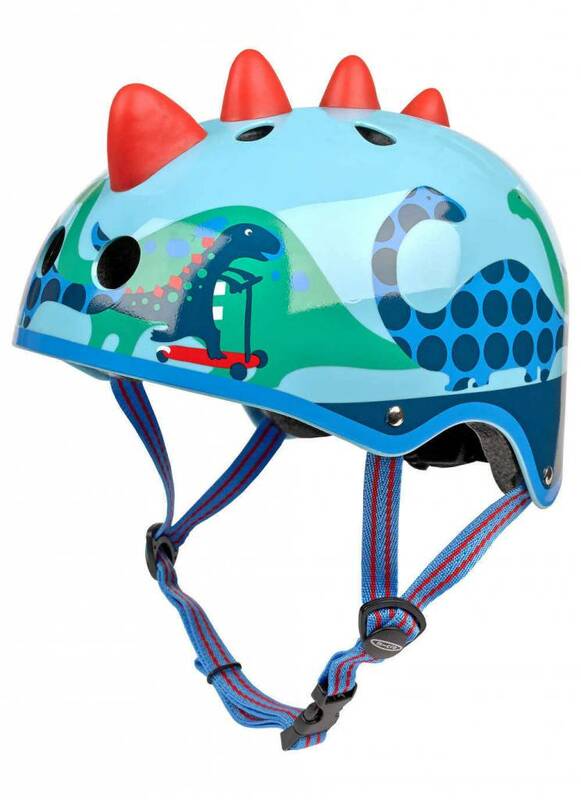 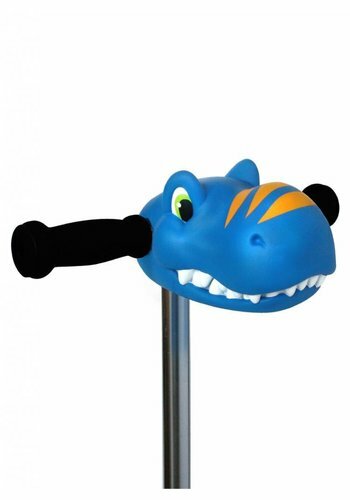 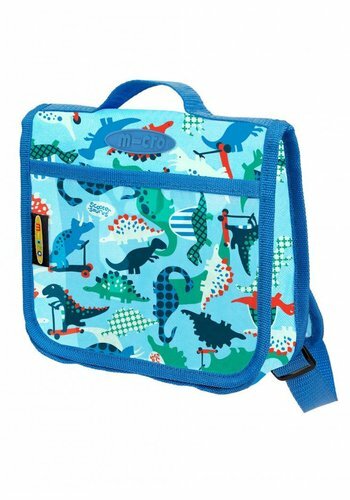 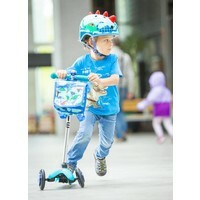 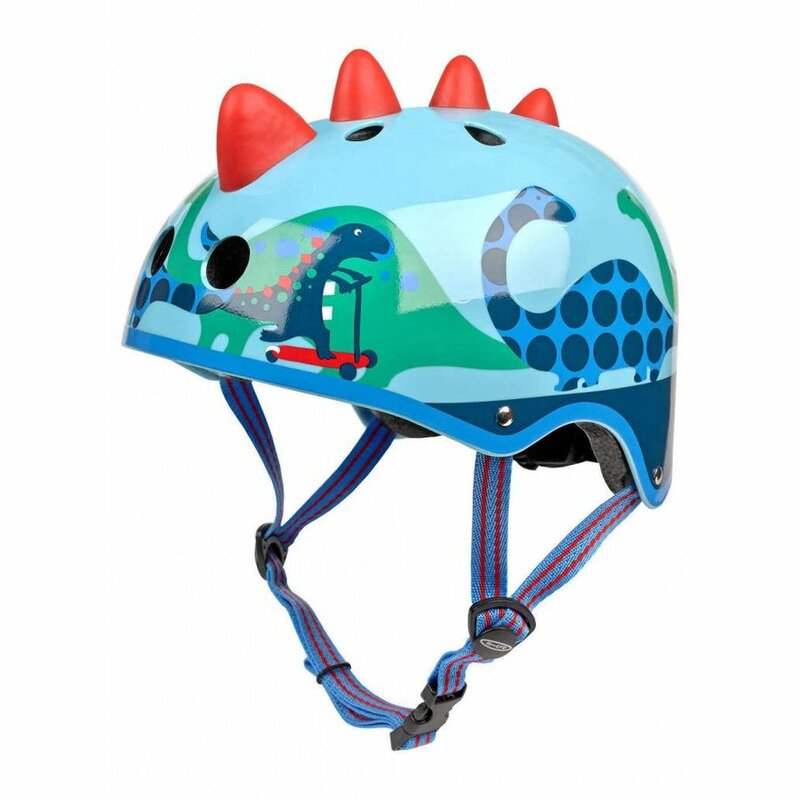 A cool blue helmet with dino print from Micro. 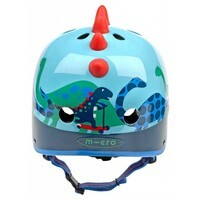 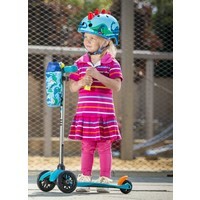 Comes with the Form fit system: through a wheel adjustable size of inside of the helmet. 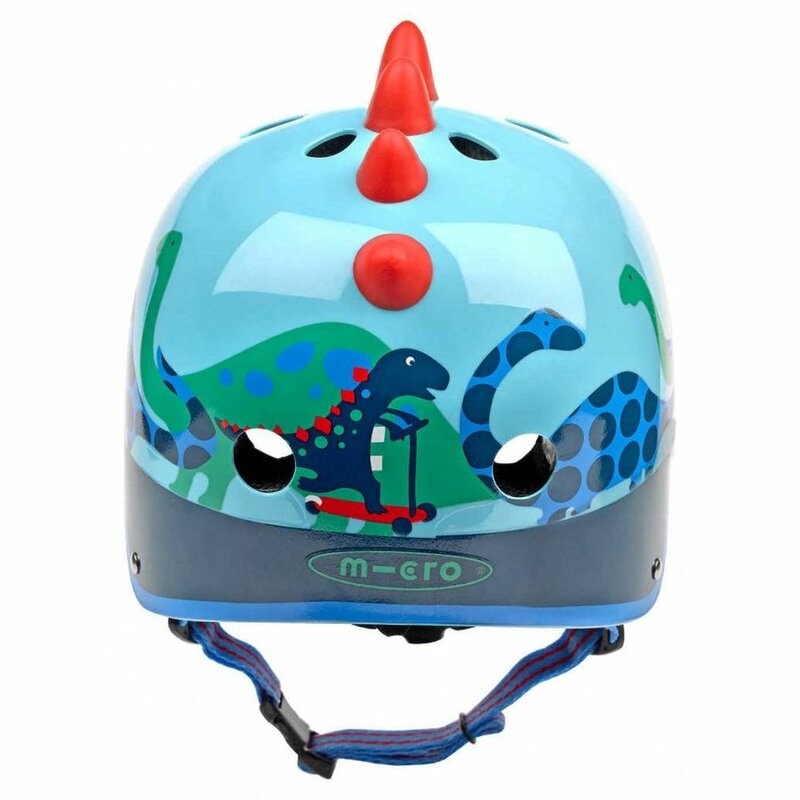 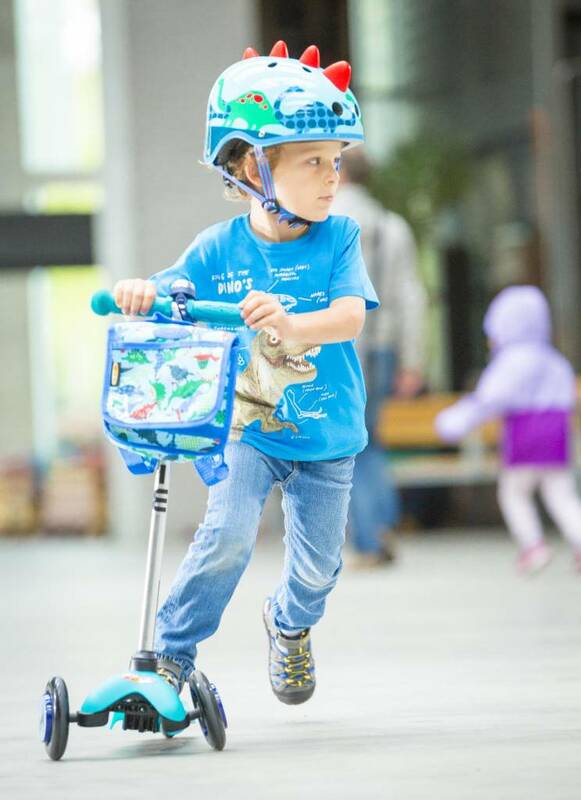 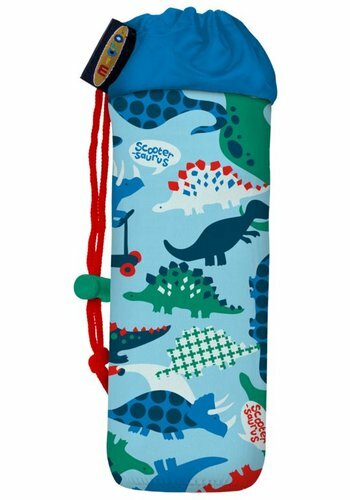 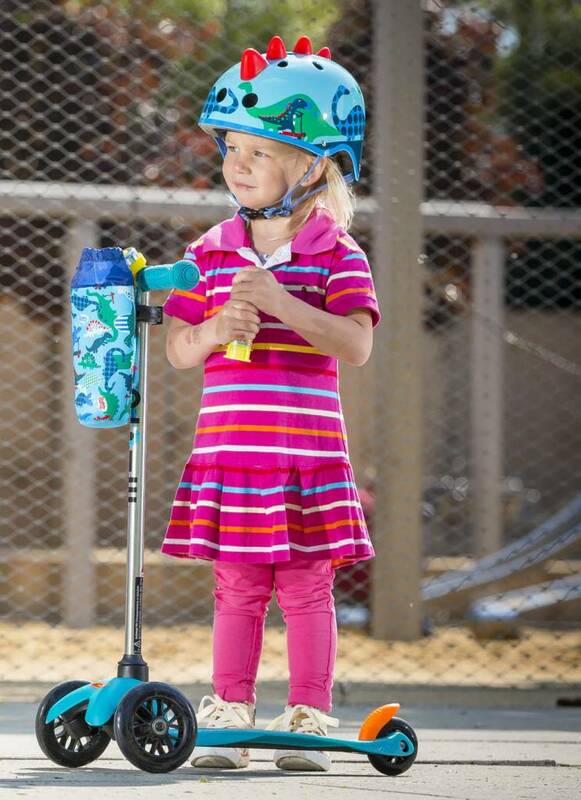 small 48-52cm medium 53-58cm Measure your child's head from the forehead where the helmet will sit, round to the furthest point on the back of the head.